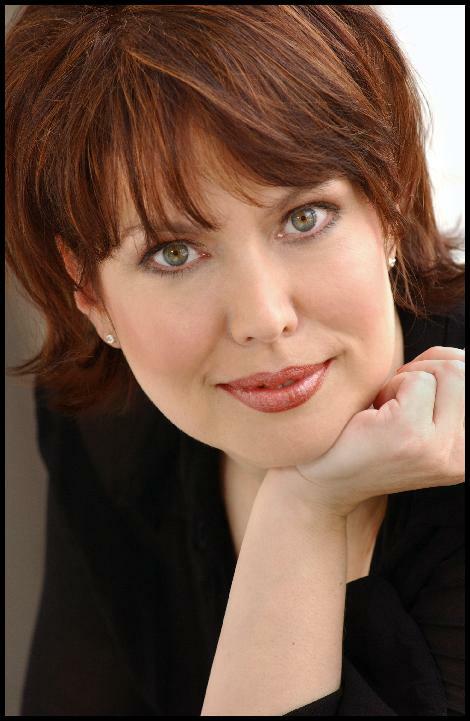 VALERIE FAGAN received a 2012 Los Angeles Ovation Award nomination for Best Leading Actress in a Musical. Most recently, she starred as the Witch in Into the Woods at MTH. Recently, she appeared as Patsy Cline in Always, Patsy Cline and the Title Role in the new musical Madam Fury's Traveling Show at the 45th Street Theatre. On Broadway, Val has performed opposite Nathan Lane and Bebe Neuwirth as both Alice and Grandma in The Addams Family. Valerie starred in the original cast of the award winning musical Forbidden Broadway: Rude Awakening (Drama Desk & Broadway.com Audience Favorite Award.) Rude Awakening's original cast album (released through DRG Records) recently debuted on the "Billboard Top Cast Album Chart" and Elaine Paige chose Valerie's "On My Phone" as a "Broadway Essential" for her weekly program on the BBC. A Forbidden Broadway veteran, Val starred in its critically acclaimed spinoff, Forbidden Vegas where she was chosen by Las Vegas Leading Entertainment Magazine: Showbiz as a "Vegas At Its Best" entertainer. She has been described as a"knockout" by the Chicago Tribune, "tremendously versatile and a major talent" by the New York Daily News and "open-hearted with a soprano that can soar" by the New York Times. Valerie's extensive musical theater credits include; Aldonza in the National tour of Man of La Mancha opposite Robert Goulet and Fantine in the first national tour of Les Miserables. Val has originated roles in many leading theaters across the country including; The Cleveland Playhouse, The San Diego Repertory Theatre and The Paper Mill Playhouse. She starred in the new comedy Saratoga Trunk Songs at the Theatre Building of Chicago's Festival of New Musicals. Valerie was thrilled to have the honor of singing "God Bless America" for NBC, starting the New York City Marathon. Also a writer, Valerie is the co-author of the award winning musical Six Women with Brain Death, published by Music Theatre International and reviewed as "hilariously funny" in its UK premier at the Edinburgh Fringe. Described as a "hard rockin, harder talkin' cult classic"... Six Women with Brain Death became the longest running show in many cities across the country including; San Diego where Variety called it "a lifesaver for the theatre" and The Studio Theatre of Sacramento, where it has been seen by over 15,000 people. "Six Women with Brain Death" was chosen by the prestigious New York Musical Theatre Festival as an invited show where talkinbroadway.com said, "It's brilliant. It's bewildering. It's ghastly. It's glorious. It's a floor wax. And a dessert topping." Valerie received raves in the New York Musical Theatre Festival's "The Paisley Sisters' Christmas Special" and in the Regional Theatre Premieres of "Hairspray" and "The Producers" at North Shore Music Theatre. With a Sold out run, extended four times and the highest grossing show in MGR's history...Val starred in the East Coast Premier of "Church Basement Ladies." She received critical praise for her work in the Transport Group's production of the new musical "Being Audrey" and has appeared in New Jersey Rep's staged reading of the hilarious new play "Soccer Moms." *A side note: Mayor Maureen O'Connor was so glad to see the success that "Six Women" brought to The San Diego Rep, that she named February 17 "Six-Women-with-Brain-Death-or-Expiring-Minds-EWant-to-Know Day!" "The Whim of the Gods"
Scene: Aesop must solve the riddle or risk being "eaten" by the Sphinx. Scene: Aunt Eller offers some good ol' fashioned "homespun wisdom." Nicholas Levin & Nan Salle Patterson's anthem to love.